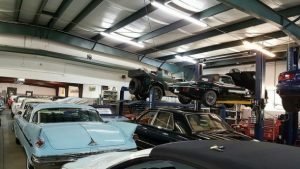 The Motor Masters is proud to announce our latest Jeep Grand Wagoneer Restoration. 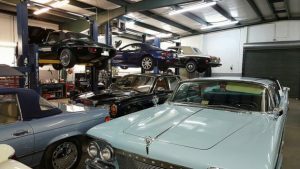 As one of the best Jeep Grand Wagoneer Restoration Shops, our experience and workmanship with these Classic Cars is another reason why people send their Wagoneers to us for Restoration. 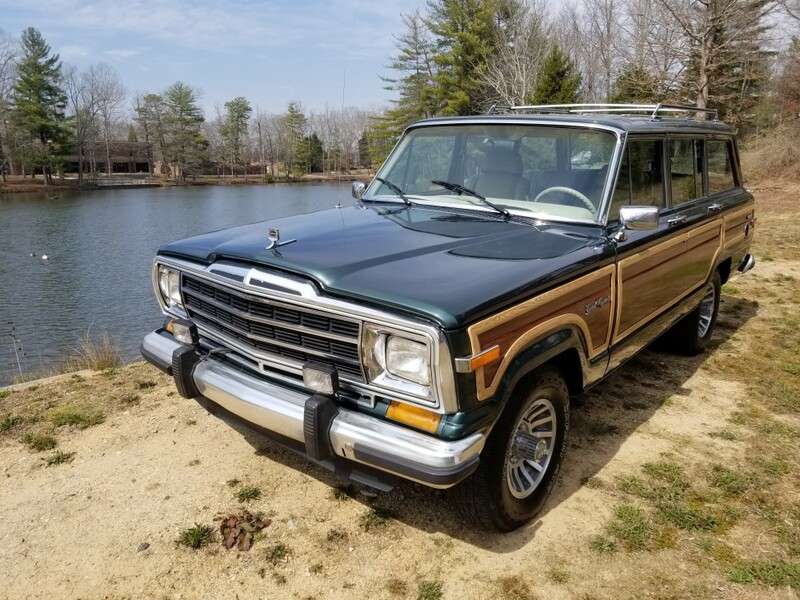 This example is a 1989 Jeep Grand Wagoneer. Originally a Cream Beige color, our customer asked us to change the color to the very popular Hunter Green. Hunter Green and Baltic Blue are the two most popular colors of Jeep Grand Wagoneer owners. This is why my customer chose Hunter Green. I would have to say he chose wisely! This Classic Wagoneer has the stock OEM Sand Tan Interior. But there’s a catch. The inserts in both the front and back seats are custom plaid. 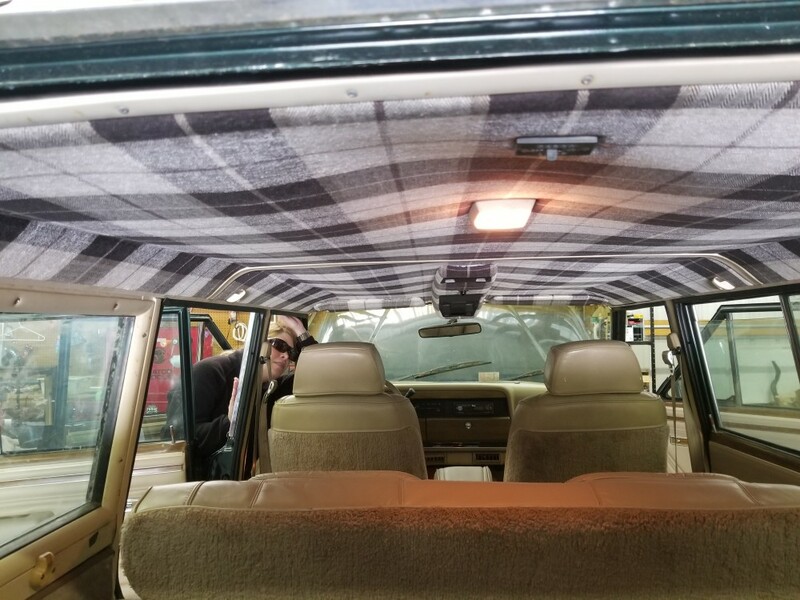 Not only that, but the Headliner and Sun Visors are custom made plaid too! It looks great and gives this Wagoneer more of a Classic look. At first, I was very skeptical on the plaid. 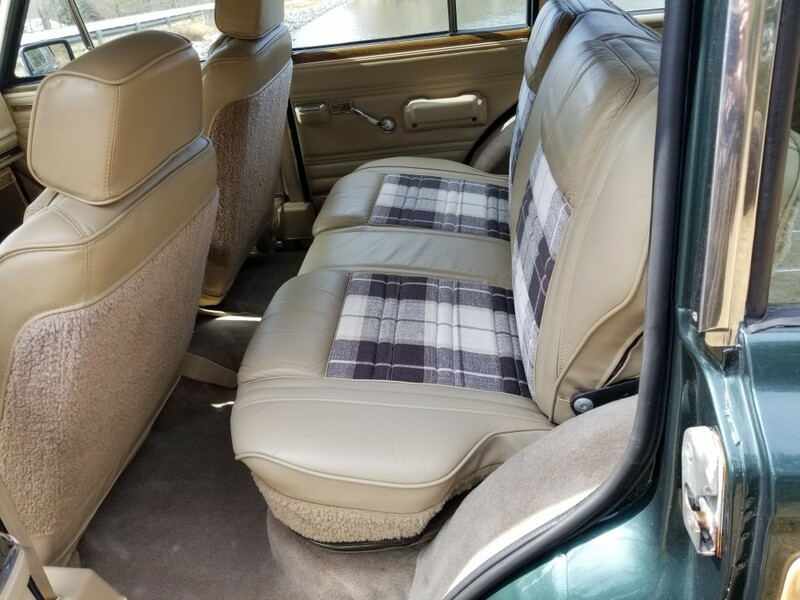 I had seen numerous examples of plaid done in other Jeep Grand Wagoneer restorations. And to be honest, they looked horrible! It was a disgrace to the Wagoneer. How could someone restore a car and diminish it with horrible plaid? I had vowed that I would never do this for any restoration, until I saw this one. After my customer had sent me some pictures of what he wanted done, and when the product was sent to the shop, I had a much better feeling that this was going to work and look really good. And it did after my Upholstery guy installed it all, along with brand new carpet. 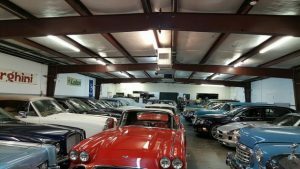 Mechanically, this has a brand new rebuilt AMC Engine with a Holley Sniper 2300 EFI Self Tuning Master Fuel Injection System. This beautiful Wagoneer runs and drives smooth. Whether you drive it to the lake, camp ground, or beach, the drives will be full of memories. The video attests the work and craftsmanship that goes into these Wagoneers. We take pride and joy in each of them. 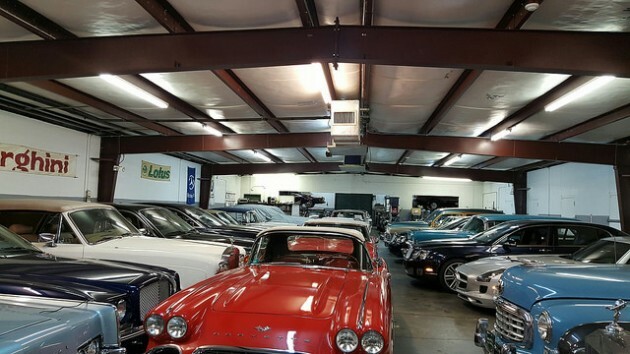 If you are looking to restore your Wagoneer, visit us HERE.